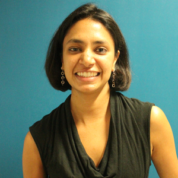 Vandana is a graduate of Claremont McKenna College, with a degree in Economics. As part of her undergraduate studies, she spent a year at the London School of Economics. The initial years of her career were spent at Citizen Schools, a Boston-based non-profit organization dedicated to changing the life trajectory of underprivileged urban children in the United States. She joined Akanksha in 2006, initially serving on the team that created a blueprint for Teach for India, later moving on to manage the Beyond School department serving all adolescent children of Akanksha. In 2007, she became the Director of Akanksha’s School Project, launched to create a network of high-performing schools within the government system. She took over as CEO in January of 2010. In 2012, Vandana was honored by the World Economic Forum as a Young Global Leader. In 2014 she successfully completed two Executive Education courses, Global Leadership and Public Policy for the 21st Century at the Harvard Kennedy School, and Strategic Perspectives in Non Profit Management at Harvard Business School. Vandana serves on the Board of Directors of The Akanksha Foundation, Akanksha Canada and Thermax Social Initiatives Foundation. She also serves on the Advisory Board of the India School Leadership Institute, KINOE ( Kids in Need of Education) and STIR Education. "The Global Teacher Prize celebrates teachers for who they are - the stars and heroes in so many children's lives. In turn, I hope it inspires young people with the biggest hearts and the greatest minds to become teachers themselves."